David Silver of Silver Miller spent his morning speaking on FOX Business Network with Lauren Simonetti. Click on the video below to hear why David said last week was one of the best weeks in cryptocurrency history and why the future of cryptocurrency looks bright. When David Silver of Silver Miller was asked by FOX Business Network's Lauren Simonetti about his views on "big tech" companies like Facebook, Amazon, and Google, David explained that those companies should continue to grow and evolve now that they have matured and have found stable footing. 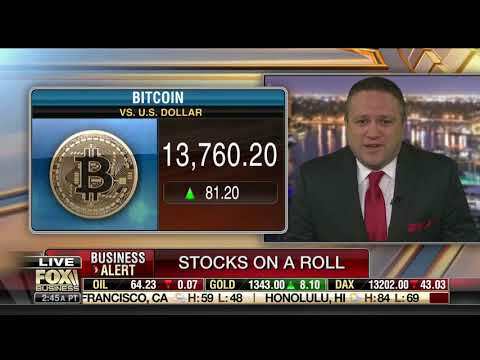 Appearing on FOX Business Network's FBN:am, Silver Miller founder David Silver explains that as the U.S. government eases the regulatory restrictions over banks, those financial institutions are likely to take a more aggressive approach to investing, which can provide higher returns for their shareholders. Are Banks Anticipating an Economic Boom for 2018? On FOX Business Network's FBN:am, David Silver of Silver Miller offered his insight on how large banks and financial institutions might respond to the federal government's new tax plan and why those banks and financial institutions might predict a better 2018 than anybody expected. Watch David Silver of Silver Miller and Lauren Simonetti of FOX Business Network's FBN:am discuss the momentum causing the Dow Jones Industrial Average climb and the simple reason why Wall Street insiders expect that momentum to continue. As David Silver of Silver Miller and Lauren Simonetti of FOX Business Network discuss, there appears to be no end in sight to the rise in the Dow Jones Industrial Average -- one of the leading economic indicators for investors in the United States.